(FILE) The famed Marshall Field's clock anchors the holiday display at Macy's State Street store in downtown Chicago, Friday, Nov. 10, 2006. 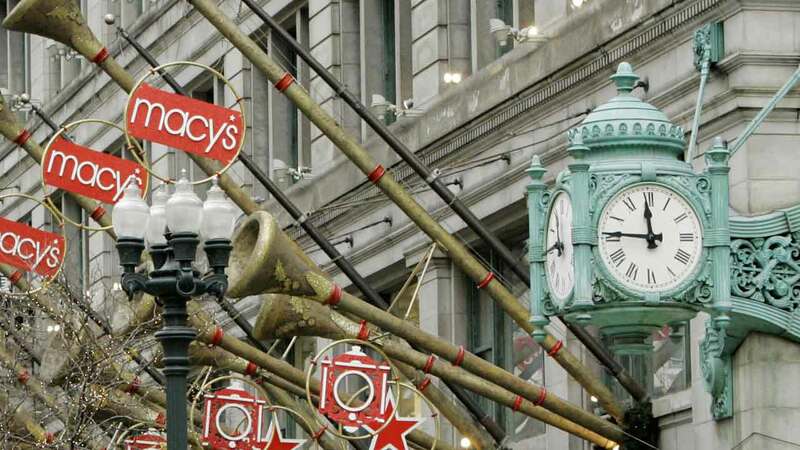 CHICAGO (WLS) -- Macy's has confirmed on Friday that they are selling off some of the upper floors of their iconic State Street location. The company plans on renting out some of the upper floors at the flagship location at 111 North State Street. "Macy's is continuing to execute on our real estate strategy that is focused on creating value through monetization and, in some cases, redevelopment of our assets. We are working on a plan for a downsized Macy's on State Street store which we expect will result in a more vibrant and more productive store. Of course, the Walnut Room will remain as it is a cherished tradition. We have 14 floors and will sell those above," said Macy's spokeswoman Andrea Schwartz in an email statement.